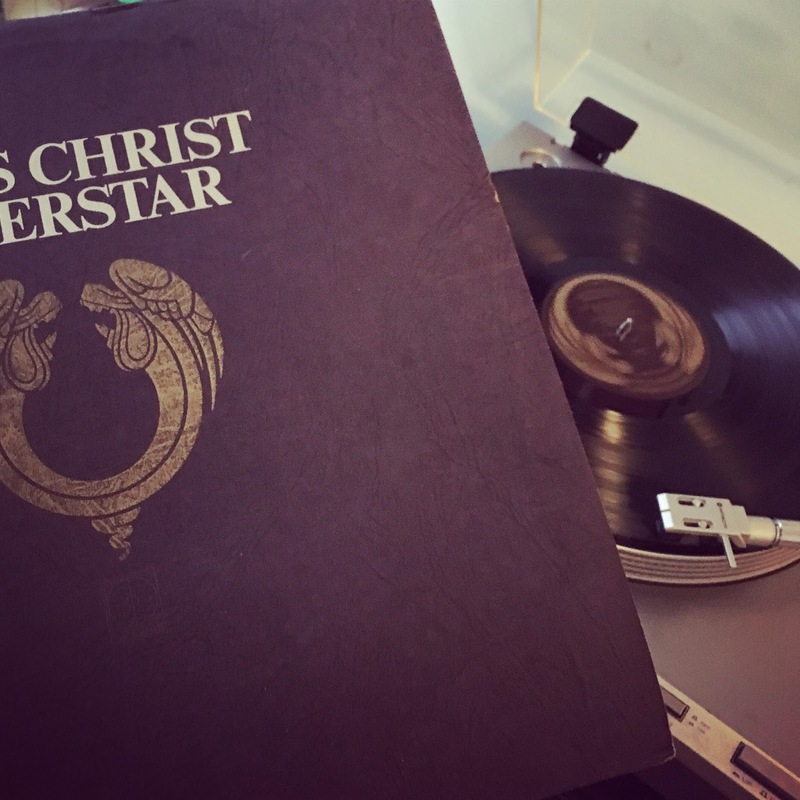 The summer 1979 production of Jesus Christ Superstar at Huntington Playhouse in Bay Village may have been the greatest theatrical event of the 20th century. I couldn’t say for sure. I was ten, going on eleven. But as far as I was concerned, it was beyond compare. We had albums for musicals in our house. My father really liked Godspell. That one’s a poppy, upbeat revue of parables and lessons without any real narrative structure except for some reason one of them gets murdered. 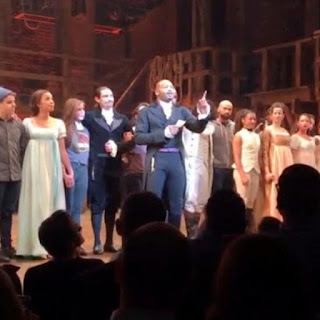 Superstar tells the story of Holy Week with a few loud guitars which has led some to call it a “rock opera” and it is, in the way Rent is a “rock musical,” which is to say it’s really not. We had a copy of the original, pre-production concept album version, which we did not get as much play in our house as the Godspell record, and for good reason. Every track sounds like a first take, and for rock music they chose a lot of guys who aren’t very good at hitting the high notes. I mean, Murray Head can’t sing. Am I the first person to notice that? The guys from ABBA figured this out when they gave him “One Night In Bangkok” from Chess and had him rap. I mean, Murray Head can’t rap, either. I digress. In performance, it’s really Judas’s play. If there were another character in musical history who could be compared it’s Burr in Hamilton. He’s the narrator, we get to hear his version of events, he feels entirely justified in his actions, and he makes a terrible mistake that he immediately regrets. In addition to making Judas into an anti-hero, Superstar pisses off some of the devout because it ends with Jesus’s burial (spoilers alert) and no resurrection. Judas is the one who gets to come from the dead for a reprise with newfound cosmic awareness of future events, to ridicule and snark. Good ol’ Judas. I have rediscovered my turntable. My brother was about to start his sophomore year in high school, and he was in the pit band situated in the wings of our community theater; a grand, old, moldy barn located right across the street from the lake. He was playing vibes, and I had literally nothing to do those summer evening’s but play or watch TV. It was summer! He’d shown me how to sneak into the loft next next to the tech booth. There were couches and pillows and you could lounge and view, high above and just behind the audience. Must have been a make-out paradise, but I could not tell you. So I went up there to watch. And I was compelled. I had been raised protestant, I was familiar with the gospels the way most Americans are -- vaguely. I knew the characters and the plot. And this way the late 70s, so sympathizing with a hip, charismatic Jesus with complexities and even hypocrisces was not a stretch, not even for the pre-adolescent mind. I cannot remember who played Jesus, however. No one ever does. Judas, however, was performed by the late Tom Castro, a beloved educator from Lakewood. I already knew him from when he played Ogg the Leprechaun in Finian’s Rainbow, the same show in which my brother played Sunny, the mute sharecropper’s child … and we should leave it right there. Unlike the recording with which I was marginally familiar, Castro was an indelible presence as Judas, a powerful singer, occasionally followed by a shadow, a female dancer dressed from toe to crown in a black leotard (SATAN?) I can see him now, and I will never forget him. I wanted to be him. A couple of nights I watched the how from the loft. Then I asked my brother if I could sit backstage to watch the show. Just sit next to him, in the “pit” band in the wings (there was no actual pit.) It was a community theater production, there was no one around to say, no, that’s dangerous. Or no, that’s foolhardy. Or just plain, no. So, I sat in a chair by the band one night, and for the first time, I saw how it was all done. I saw the characters become actors once they crossed into the wings. I saw the tasty-looking food on trays and in baskets were fake. I saw the stage hands and I saw them moving the set around. I saw actors slipping into and out of costume pieces -- nothing risque, but it was suggestive enough that I thought I was seeing something I should not have been. These things I also remember; the band was tight. High school students and adults, and they were good. One thing I love about the score of Superstar is how creepy it is, not just haunting but spooky. Atmospheric with lurking evil. It’s thrilling! By my second night backstage I was on my feet. Walking around, staying out of the way, I understood the traffic pattern. I would hide in the wings, getting as close to the action as possible. I was a kid, but not much younger than some of the other players. I could do this. I wanted someone to invite me onstage. I had a fantasy of some company member saying, here! Put this on and join us! This did not happen, of course. My mom and dad came for closing night, and got me a ticket. We sat in the third row. I had not yet sat in a seat in the audience. It wasn’t as good. Sunday night, NBC will present Jesus Christ Superstar as one of their live musical events. I don’t understand the appeal of these productions, most likely because I’m not really that much into either musicals or broadcast television. The thrill is in seeing them pull off a stunt like a multi-set, large cast musical production, on the night with millions of people watching. I have heard such terrible things about them, too. They must make for tremendous ratings, because the abuse on social media is astronomical. However, when they announced this one, I got excited. Because I do love Superstar. And I don’t like anything else Andrew Lloyd Weber has ever written. Nothing. Hate Dreamcoat, hate Phantom, despise Cats. And yet I have never been inspired to see a production again because my memories of that first are so indelible. Besides, most professional touring companies feature desiccated prog rock stars who are well-more than twice the age of Christ when he died. The thing is, unlike A Christmas Story Live, or Hairspray Live or Grease Live, there’s no book to ruin in Superstar, there’s no acting. It is a sung through piece (inviting the comparison to opera, sure) and unless they find some way to pad it out interminably, all they need to do is to sing, but sing very, very well. They announced the cast one at a time over the course of weeks. Alice Cooper as Herod is a stunt, they always get someone like him for that one scene, that one song. 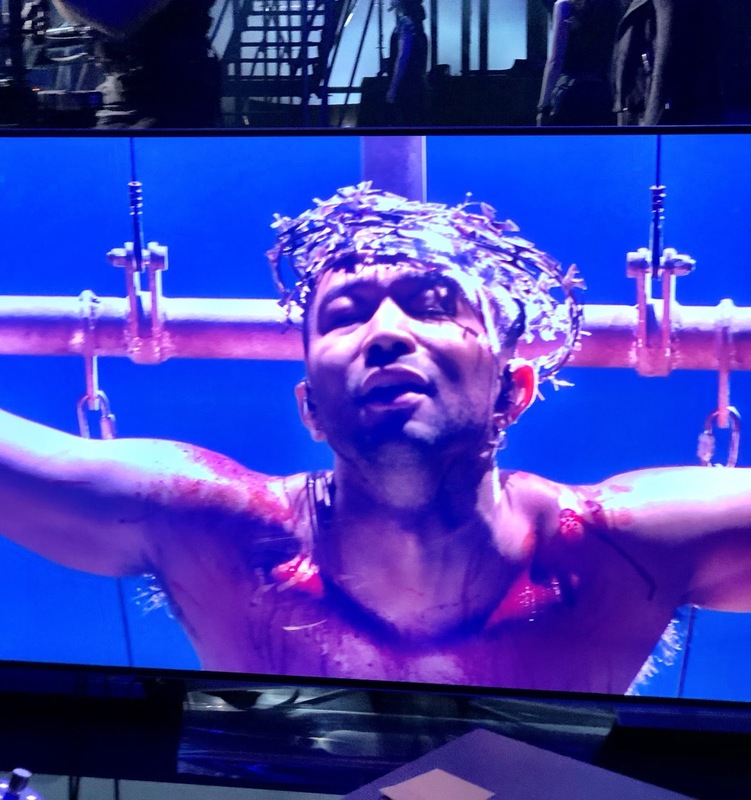 But then they said John Legend is playing Jesus! Not some fly-by-night pop star, they got John Legend! Well, okay! And Sara Bareilles! I’ve heard of her! But who was going to play Judas? That’s the role, right? Surely they’d get someone famous from one of NBC’s past sit-coms or procedural dramas. Someone with character, but no chops. Because that's what they do for these modern, televised musicals. No. They got Aaron Burr. They tapped Brandon Victor Dixon, who assumed that role in Hamilton after Leslie Odom Jr. stepped down. A name as-yet unfamiliar to the ear (he’s not even mentioned in the promos) yet with high credentials in playing another of the greatest, knowing, conflicted anti-heroes ever conceived for the musical stage. He also lectured the Vice President, you remember that, right? I’ll be watching. Have a good Friday.